“Several DTI studies confirmed widespread FA alteration indicating white-matter lesions in mTBI patients (Niogi et al., 2008; Rutgers et al., 2008). In 34 mTBI patients, Niogi and associates found microstructural white-matter and tract lesions, e.g., in the anterior corona radiata, uncinate fasciculus, genu of the corpus callosum, inferior longitudinal fasciculus, and cingulum bundle (Niogi et al., 2008). In their 21 mTBI patients, Rutgers and associates saw signs of axonal whitematter injury in multiple areas, including subcortical white matter, internal capsules, corpus callosum, fornix, and infratentorial brain stem and cerebellum (Rutgers et al., 2008). 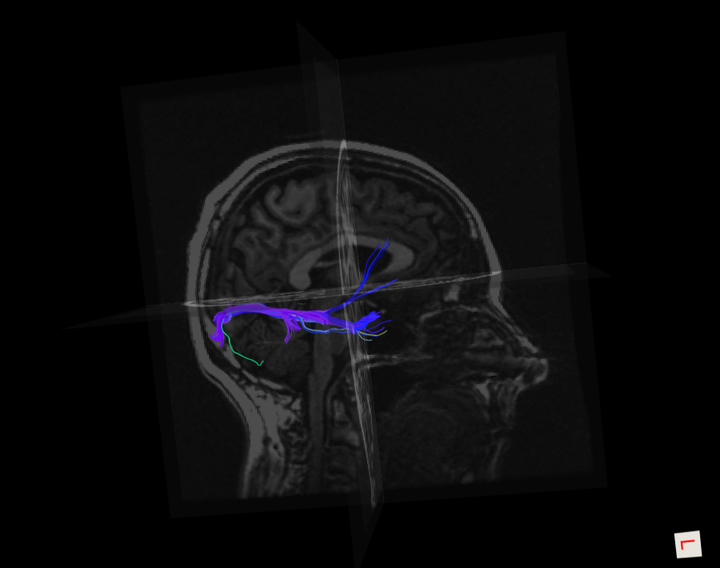 Using fiber tracking techniques, the authors also saw fiber bundle lesions in multiple areas, including supratentorialprojection fiber bundles, corpus callosum fibers, association bundles, and fronto-temporo-occipital fiber bundles (Rutgers et al., 2008). 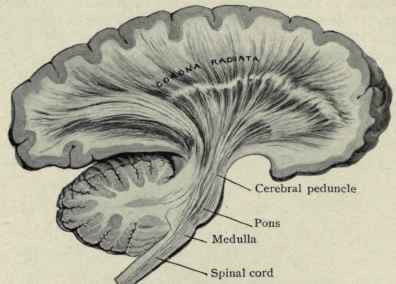 named areas, such as the ventromedial prefrontal cortex, anterior cingulate gyrus, amygdala, suprachiasmatic hypothalamic nucleus, medial preoptic nucleus, magnocellular neurons in the supraoptic nucleus and the paraventricular nucleus, hypothalamus, arcuate nucleus, or the insula cortex (Benarroch, 1997). “What is clear is that when the head, moving at significant speed, comes to an abrupt stop, the brain cells get stretched, squeezed and twisted. In their normal state, these cells function by transmitting electrical current. A part of the cell called the axon acts somewhat like a wire, conducting current between the cells. Ions shift back and forth along the axons in a controlled fashion, transmitting messages from one part of the brain to the other and to the rest of the body. When a concussion occurs, however, the membranes of brain cells get damaged and the cells become leaky, Giza says. Ions rush in and out indiscriminately. As sodium and calcium rush in, potassium rushes out. The brain needs to restore its balance. Concussions thus disrupt the very anatomic integrity, the architecture of the brain. Repeated concussions, don’t allow the brain time to sufficiently recover its shape.